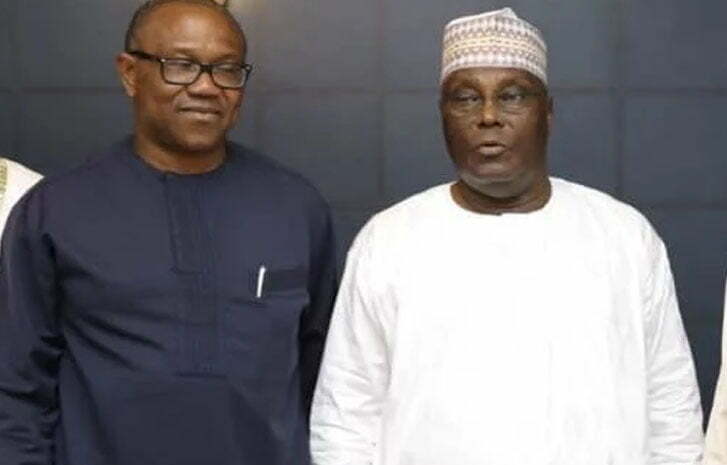 The Biafra Nations Youth League, BNYL, has insisted that the South East will “not give block votes” to the Peoples Democratic Party, PDP, Presidential candidate, Atiku Abubakar because he picked Peter Obi as his running mate. In a statement issued and made available to Newsmen, the BNYL leader said the selection of Obi was a plot to deceive the South East into helping to extend the “Fulani rule” over Nigeria. The statement reads, “Politicians remains Politicians, Biafra Agitators remains Biafra agitators, it is not all about political offices, we are not fools that we should be fighting while Politicians will be taking advantage of our struggles to seek political offices. “We are happy they are now waking up and understands the politics of the North against the East. We have been hearing clamours of Igbo Presidency 2023 and I feel the only way to make sure that doesn’t happen they have to present another Fulani so that by appointing an Igbo as his VP the tenure of the North will extend to another eight years and by then the South West will be preparing to take over. I quite agree with you..